Discrimination against the Tibetan language in China severely disadvantages Tibetan children and violates China’s own constitution. Some summers ago when I was in Lhasa, I noticed that the sun rose surprisingly late and daylight diffused quite a long while into the evening. This was because Beijing dictates that every one of its subjects from the outer reaches of East Turkestan and Inner Mongolia to the whole of the Tibetan plateau run on Beijing time. Even though Lhasa is as far away from Beijing as San Francisco is from Washington DC, the Tibetans in Lhasa must rise and sleep in harmonious lockstep with the Party chiefs at Zhongnanhai. Not content with temporal conformity, Chinese leaders in Qinghai Province have now targeted linguistic autonomy. The Qinghai Provincial Government has issued orders that, by 2015, all lessons and textbooks in Tibetan schools should be in Chinese language instead of Tibetan. This will mean that Tibetan children growing up in the region (the historical Amdo region of Tibet famed for producing scholars and intellectuals) will be taught in Chinese instead of Tibetan. Tibetan students will have to learn history, science, social studies etc. in a second language instead of their native language. In fact, in most other parts of the Tibetan plateau, Chinese language instruction has already replaced Tibetan. This latest attempt to promote Chinese language at the expense of Tibetan has sparked the largest and most significant Tibetan protests since the seismic protests of 2008. On Tuesday, October 19, over a thousand students from six different schools in Rebkong (called Tongren in Chinese) marched in non-violent demonstration against the planned language change carrying a banner that read: "Equality of Peoples, Freedom of Language." Over the following days, the protests spread to Chabcha and other areas of Qinghai, as well as to Minzu Daxue, the Minorities University in Beijing where four hundred students participated. Their banner read, "Preserve Nationality Language and Expand National Education." The letter goes on to say, "If both the spoken and written language of a people die, then it is as if the entire population of that people has died and the people have been decimated." The teachers referred to the 4th Article in the PRC Constitution: "All ethnic groups have the freedom to use and develop their own spoken and written languages and to preserve or reform their own folkways and customs." They were careful to note that their appeal is in lawful alignment with the Chinese Constitution as well as the PRC's Law on Regional National Autonomy. Policy makers from the Qinghai Provincial Government, as well as Beijing, should take a note from Newton and notice: For every action, there is an equal and opposite reaction. They should also carefully note the deep-seated concern about language and culture apparent in these courageous appeals by the teachers and students. And then they should consider, at length, the fact dictated by common sense, and upheld by education experts: Children learn better in their mother tongue. The medium of academic scholarship is language, as the medium of music is sound. Forcing students who grow up speaking Tibetan to study the concepts of science, social science and mathematics in a second language is to disadvantage them from the start: a handicap that will place certain stumbling blocks in their educational development. Unlike the 2008 protests, which were attributed to social and economic causes as well as political ones, these protests and appeals are clearly in reaction to the education policies of the local Qinghai Government. 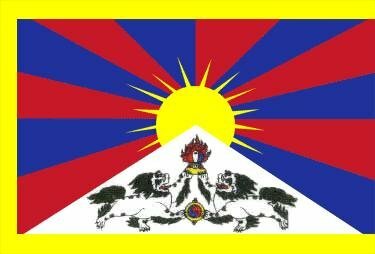 If Chinese leaders want to give any impression to the Tibetans, and to their own growing number of politically-conscious middle class citizenry, that they care about the wishes of the Tibetan people, they should for once listen to the voice of the Tibetan people, and yes the voice of conscience, and at least allow the Tibetans this small zone of linguistic autonomy.